One of Tennessee Williams' less absorbing plays is adapted into a relatively staid film that never quite takes off. The story of a desperate gigolo meeting his past and plotting his future, Sweet Bird Of Youth is filled with distasteful characters who deserve each other and little else. Handsome Chance Wayne (Paul Newman) returns to his home town of St. Cloud, Florida with aging movie star Alexandra Del Lago (Geraldine Page) in tow. St. Cloud is run by the grizzled and corrupt Tom Finley (Ed Begley), and his almost saintly daughter Heavenly (Shirley Knight) used to be Chance's girlfriend. Chance and Alexandra scandalize the town by taking a room together at the local hotel, but everyone is immediately advising Chance to quickly hustle out of town: his dark past with Heavenly means that Finley does not want him around. Alexandra believes her career to be over, and is dealing with drug and alcohol addictions. She does not quite know what she is doing with Chance or how she ended up in St. Cloud. Chance has never succeeded at anything in life, and he generates income by prostituting himself to wealthy women. He nevertheless still has aspirations to use Alexandra to finally get his big break in Hollywood and win back Heavenly's heart, although she is now engaged to be married to a doctor. Meanwhile, Finley is embroiled in a political battle and has to fend off allegations of corruption, and he just wants to see Chance gone, either voluntarily or by force if necessary. None of the main characters in Sweet Bird Of Youth have enough redeeming features to evoke something resembling sympathy. Chance is at the centre of events and on his way to discovering that the sweet benefits of youth are fleeting, but proves himself to be a miserable, self-centred soul, and this after the Richard Brooks script toned down his less attractive features from the original play. Alexandra confirms the worst suspicions about Hollywood has-been divas, as she spirals into the squalor of multiple addictions and yet still believes herself to be entitled to royal treatment. And Tom Finley gathers up all the corruption and menace of southern politicians ruling through a combination of sleaze and intimidation. Paul Newman, Geraldine Page and Ed Begley are effective in bringing these unsavoury people to life, but there are no compelling arcs for them to hang any character development onto. Chance needs to uncover the reason why he is suddenly deep in Finley's bad book, a charged revelation that is not enough to give Newman a new avenue to explore. And through the fog of substance abuse Alexandra receives news about the box office results of her latest movie, only serving to amplify Page's already over-theatrical performance. And Begley does his best imitation of the fat local law of the land, but Tom Finley starts out on the dark side and just moves further into the blackness. Heavenly, with that none too subtle name, is meant to be the one source of light and pure goodness in Sweet Bird Of Youth. Although Shirley Knight does her best, the role is paper thin and the character unconvincing, Heavenly for all her goodness apparently inexplicably willing to overlook and forgive a large accumulation of momentously sordid faults. 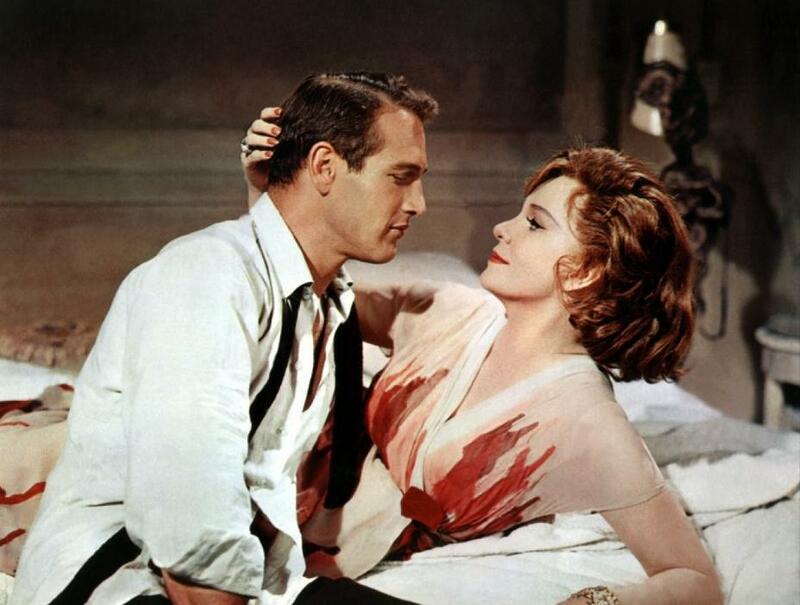 Brooks, who also directed Newman in the adaptation of Williams' more flammable Cat On a Hot Tin Roof (1958), does succeed in breaking Sweet Bird Of Youth out of its stage confines, the film making good use of several locations, although a large amount of time is spent in the hotel room. Conniving and morally bankrupt characters plotting against each other are always enticing to a degree. They are, however, always more compelling when they seek or at least accidentally stumble onto a path out of their moral morass. Sweet Bird Of Youth just flies past that opportunity.